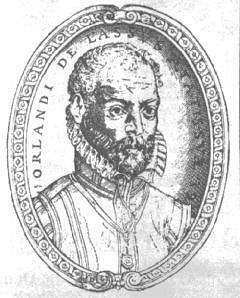 Franco-Flemish composer. Legend holds that as a choirboy with an uncommonly beautiful voice he was thrice kidnapped from his birthplace for service elsewhere. It is not certain, however, that he was ever a chorister in Mons. His first known position was in the service of Ferrante Gonzaga, who passed through the Low Countries in 1544 on his way to Italy. 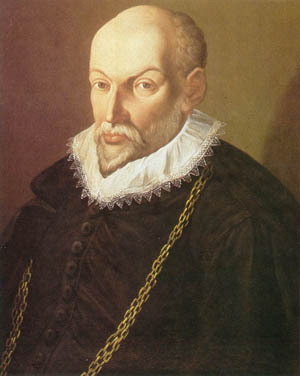 Lassus spent the next decade in Italy, at first with Gonzaga, later in the service of Constantino Castrioto of Naples. By 1553 he was choirmaster at St. John Lateran in Rome, remaining there for a year, then returning to his homeland and settling briefly in Antwerp. 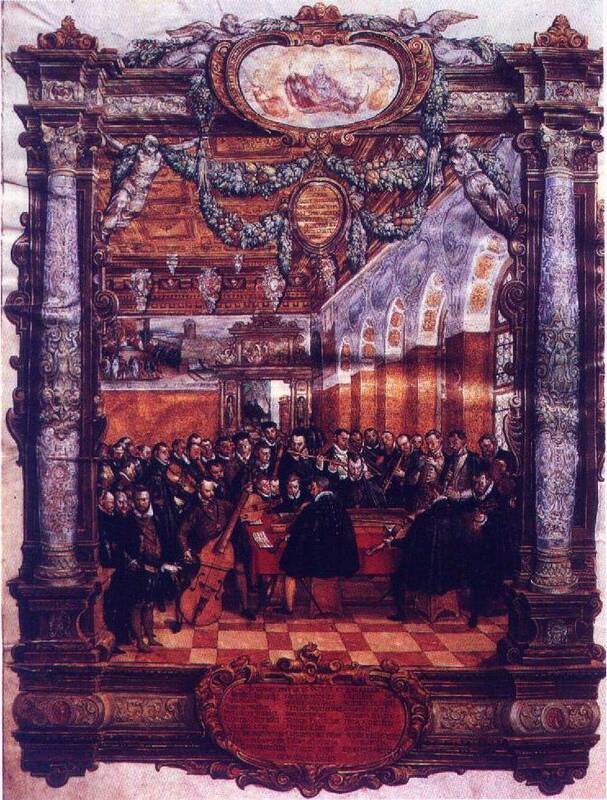 His career from 1556 was centered in Munich at the court chapel of Duke Albrecht V of Bavaria, as maestro di cappella from 1563, with duties that included some travel in Germany, Flanders, France, and Italy. While employed at Munich, he came to know both Andrea and Giovanni Gabrieli, each of whom spent time in the musical establishment he directed. His accomplishments brought formal recognition from Emperor Maximilian II, the French king Charles IX, and Pope Gregory XIII. Lassus's production of over 2,000 works in nearly every Latin, French, Italian, and German vocal genre known in his time places him among the most prolific and versatile composers of the era. A close connection between text and music, in both small- and large-scale respects, is perhaps the single most prominent characteristic of his output. His approximately 530 exceptionally fine motets include many religious works, humorous and ceremonial pieces, didactic compositions (biciniaand tricinia), and settings of classical or humanistic texts, such as the Prophetiae Sibyllarum. This cyclic work was probably composed at an early date in Italy and exhibits an extreme chromaticism not elsewhere to be found in Lassus's output. It was preserved in a manuscript of 1560 but was printed only in 1600, after the composer's death. Similarly, his Seven Penitential Psalmswere written around 1560 and copied into a lavish manuscript in Munich but were printed only in 1584. Belated publication was not usual, however. 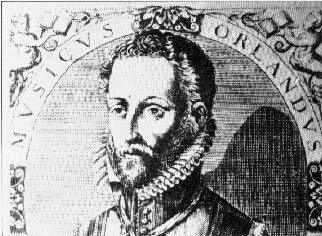 Some of Lassus's motets were printed as early as 1555, and the peak of both composition and printing of his works in this genre came in about 1568-73. Almost sixty Masses of undoubted attribution survive complete. Few predate the Munich years. Most are parodies, modeled usually on his own sacred motets or, more often, other composers' secular works (until 1570 French, after-wards Italian). Yet one widely popular Mass is a parody of his own chanson Susanne un jour. Three fairly late works are for double choir; of the rest, the majority are for 4-6 voices. Among his other liturgical compositions are hymns, canticles (including over 100 Magnificats), responsories for Holy Week, Passions, Lamentations, and some independent pieces for major feasts. The compositions in the vernacular include about 175 Italian madrigals and villanellas, roughly 150 French chansons, and around 90 sacred and secular German lieder. Production of the Italian works spans his entire adult life but was concentrated in the early years (until the end of his first decade in Munich); a return visit to Italy in 1585 prompted renewed efforts, with the result that some of his latest works have Italian texts. The French chansons likewise span his productive life, but few were written in his later years. Most were composed in Munich but published in Paris and the Low Countries. Their style evolved with the times. His Une puce was the first example of musique mesurée to be printed (1576). His output of German lieder began comparatively late; the first were published in 1567. The earliest and the secular lieder incorporate a madrigal-like musical style rather than the traditional methods of the Tenorlied. Closer adherence to German musical custom, including some strict use of borrowed melodies, is usual from his second book of lieder on, especially in the sacred pieces. Lassus's influence was extensive. His compositions were frequently reprinted both during and after his lifetime. Many were intabulated. for lute, keyboard, or cittern. The Latin works especially were widely used in Germany in the 16th and 17th centuries as models or source material; such use was encouraged particularly by his pupils Leonhard Lechner and Johannes Eccard. The collection Magnum opus musicum (1604), a republication of most of his motets, shows the high regard of his contemporaries, for he is the earliest composer to be honored immediately after his death by such a work of preservation. In general, his prodigious production of finely crafted pieces, cosmopolitan style creation of hybrid forms (Latin chanson, double-choir drinking song, etc. ), and personal connections with Italy (and the Gabrielis) helped to bring Germany into the mainstream of European music. Not only were German composers strongly influenced by his work, but also his widely disseminated output, often published in multilingual volumes or books not limited to a single genre, increasingly drew the attention of other Europeans to his adopted country as a possible source of music fully as well-written, sophisticated, and individual as any produced elsewhere.